Radiography is the use of generated x-rays to visualize the inside of something. Medical radiographs are used to produce images of bones, soft tissue structures and organs to diagnose problems. 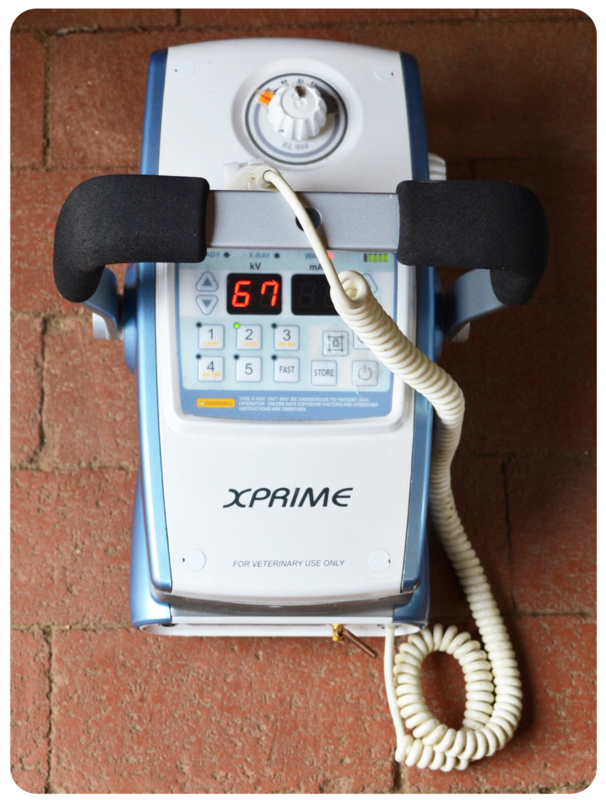 Foundation Equine Wellness Performance uses a completely portable digital system for taking radiographs. This allows us to bring the equipment to your barn and work “horse side” to obtain the images. The unit is also digital, so instead of producing the traditional black and white picture on a large piece of film, the image is displayed within seconds on a computer screen. Not only are the results of the study available immediately, but the images can be enlarged, darkened, lightened, or manipulated in other ways to assist in the diagnosis. The ability to manipulate exposure, magnify and “tweak” the digital image means that each image give the maximum amount of information. This cuts down on the number of shots that must be taken or repeated, saving time and money and creating less radiation exposure for everyone involved, including the horse. Digital copies of the images can be reproduced for the owner’s records, forwarded across the internet for consultation or given as a disk or printout to help your farrier with corrective trimming.